For a hassle-free vacation, plan it with Aguila Travel Agency in San Jose, CA. 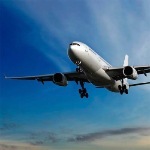 We help you to travel to exotic locations through cruise and flights. Contact our travel agent.